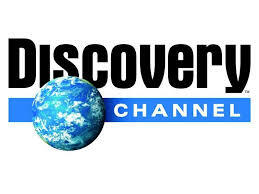 Interested in Becoming a Reality TV "Star" with the Discovery Channel? For at least the sixth or seventh time over the past 10 years I've been contacted by yet another production company (the same one that produces Discovery's "Gold Rush") looking to cash in again on the gold and treasure hunting craze infecting the unwashed masses of couch potatoes out there in TV land. For some reason or another, these production crews and I don't seem to see eye-to-eye but they inevitably hit me up for help getting their tickets punched just the same. In fact a few years back I did a Skype interview as a potential cast member for the "Snake Island" TV treasure hunting show. That didn't pan out and I assume it was because my sterling personality was simply too much for them. Evidently I'm not good reality TV material. Hmmm...I wonder why? Anyhoo, I agreed to pass on this production company's request to you, my readers and contacts. So read what they have to say and if you're interested contact them. All the contact info is in the message I will cut and paste below. If you're interested and can make a go of it with the Discovery Channel, more power to ya and I'll back your play all the way. By the way, I'll also cut and paste my response to these folks just for shits and giggles. I found your blog while researching small mining operations. I'm not sure if many of your eaders are smaller, privately-held mines, but that's what I'm seeking. I did see that you mentioned you know some people who have dived into this? Have they made it their primary business? I am working for Anomaly Entertainment (http://anomalyent.com), the individuals responsible for shows like GOLD RUSH, THROUGH THE WORMHOLE, SHARK WEEK, and other Discovery content. Discovery is interested in creating more content in the mining space/industry. In particular, they are looking for privately-owned, or small companies that still do underground, hard rock mining for precious metals anywhere in North America to develop a new series around that company, and day to day operations. My job is to identify candidates or companies that have the right combination of qualities from staff size, to geographic location, etc that the network is looking for. Any interested parties should email me with contact info, any links, videos, or profiles of their company or mining history, especially any interesting history about their mine in particular. I will reach out immediately to discuss the opportunity with candidates that look like a good match for the network. Over the course of 40 years as a small-scale gold miner and treasure hunter I have made extensive contacts in both the small-scale gold mining and treasure hunting communities but none are operating from a commercial standpoint. Regarding the miners, they are usually individuals or small groups using light equipment such as sluices, highbankers, dry washers, suction dredges, and the like. Most, like myself, carry on the traditions and history of the old timers. Very few of us use heavy equipment or approach things from a commercial or business standpoint. We just love gold prospecting and mining. Which brings me to my next point and I hope you'll take the time to listen to my point of view. But personally, most real gold miners (small-scale or small commercial operators) absolutely despise Gold Rush and TV "reality" programs of similar ilk. Shows like this paint a totally unrealistic image of what real prospecting and gold mining is all about and the tools, traditions, and history behind it. I realize the general public laps this stuff up like drug-laced milk liberally spiked with both unscripted and scripted drama, but I don't nor do most other small-scale men and women. Of course, we are the minority out there and you are in the business of selling to the the uneducated (from a gold mining standpoint, anyway) masses who view programs like Gold Rush as what gold mining is all about. However, it's my contention that you could put a trained monkey in an excavator on known and proven gold ground and that chimp will find gold eventually. But pull him out of the cab of that excavator, hand him a few basic prospecting tools, and let's see how much gold he finds in a desert dry wash or a remote mountain stream that he's never been to or led to. That off my chest, I wish you well as an earnest individual trying to make things happen for your production company. It's your job after all. But count me out when it comes to assisting anyone in creating and producing another Gold Rush TV series clone. However, I will post your message on my blog and if any of my readers or contacts are interested they will contact you. So give it your best shot if you're interested. UPDATE: I've communicated further with Mike from the production company and I'm impressed with his take on things and his apparent honesty. So if you are involved in a small-scale hard rock mining venture I suggest you contact him right away. If he thinks things are viable, he'll do a Skype interview with you. So go for it! JR, HAW! I love it! I bet that reply took him off guard! Really, a gold show about underground, hard rock mining would be nice. That is something I don't know much about and would like to learn. The trouble is, as you say, these "reality shows" are not reality. You can bet the focus would be on made up drama about the risks of cave ins and not teaching anyone about what to look for or how to do this. I would very much welcome a "How to", honest show, but not an underground version of Gold Rush. Would I watch it? Sure....a few times, but probably not much more unless it was truly different. BS gets old fast. When I trapped my first wolf, Fish & Game said the "Mountain Men" show was looking for new people and asked if I would be interested. Nope, not for me. The money would be nice, but I do what I do because I enjoy it. Having someone follow you around and direct you to do things you would never normally do, would take that enjoyment out of it. It's a shame these shows can't show the "Reality" they claim to be. If you talk to them again, maybe offer them your services as an advisor about what their show should be showing. I doubt they would be interested, but they should be! I'm glad you stuck to your guns and didn't sugar coat things! Well done! Actually, I give Mike (the TV guy) some credit. He took what I had to say very well and agreed about the drama aspect of shows like "Gold Rush" in a follow up e-mail. He's a pretty straightforward guy as far as I can tell so I will withhold Old Testament judgement on him. This could be a good deal for a small hard-rock mining concern...who knows? I'd like to see a good show about lode mining, but like you I want the real deal...not created or scripted drama.